Boss Fight Studio has sent along a fantastic looking new piece of art for us to share with you. Check out the exclusive first look at the upcoming Vitruvian H.A.C.K.S. 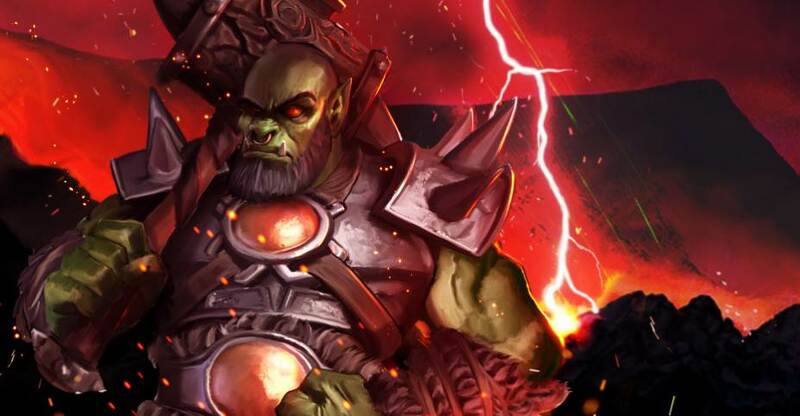 Series 2 Card Art for their Orc figure. The artwork was created by artist James Griffiths. Vitruvian H.A.C.K.S. Series 2 Wave 1 Figures can be pre-ordered now via the Boss Fight Studio Store. Series 2 – VITRUVIAN H.A.C.K.S. Also, they released two other card back art designs on the Boss Fight Facebook Page. These card backs show the art for the Knight of Accord and Lacuna the Cave Faerie. Read on to check them all out. › Companies: Boss Fight Studio › Characters: Orc › Scale: 3.75 Inch › Sub-Line: Vitruvian H.A.C.K.S. Boss Fight Studio revealed the first 3 figures from their Vitruvian H.A.C.K.S. Series 2 Fantasy line at the last NJCC in March. 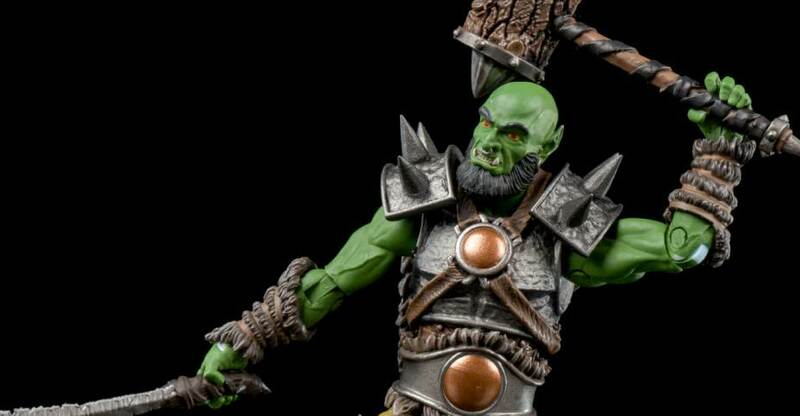 That was only part of wave 1, and today they’ve officially dropped the other figure from the wave – the Orc Conqueror! He comes with a slew of accessories including a mace, sword, shield, 3 helmets, alternate head and extra hands. He also comes with spiked shoulder guards, armor and fur on the body. Read on to check out 30 HD images of the Orc Conqueror in action!